In times of crisis, we are called upon to become humanitarians. 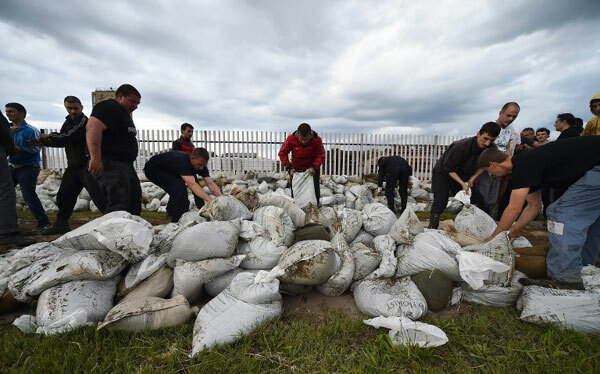 The ongoing crisis in Serbia, the devastating effects of flooding on countless homes, buildings, people, and animals over a very large part of the country, seems to have brought the humanitarians out in droves. More than 3,000 able-bodied men and women marched on Sabac to shore up the floodwalls. Humanitarian aid to the victims of the floods poured in from around the country and from abroad. People have donated their time, their money, their clothes, their food, and their Facebook pages to the humanitarian effort. Humanitarians All | B92 Blog.